At Concourse Cardiology Associates, our board certified physicians and highly qualified professional staff provide you with superior care and state of the art cardiovascular services. We specialize in bringing you comprehensive information about heart health, as well as the latest medical treatments. We provide a full range of cardiac services to our patients. These services include preventative cardiology and the diagnosis and management of high blood pressure, high cholesterol, coronary artery disease, valvular heart disease, arrhythmias, preoperative health assessments, women's heart health and weight management. 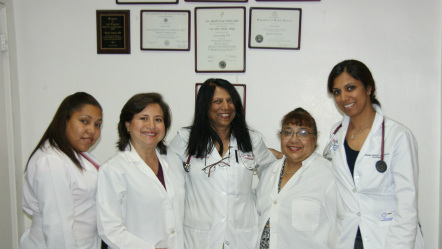 Our team is dedicated to providing you the best care. We are proud to have served our community for over 20 years and have a strong relationship with our patients. We are committed to providing excellent service. To schedule an appointment, please call us at (718) 733-5299 (Se habla espanol). We look forward to meeting you!